: Cost of Sylvan Learning Centers Franchise? How Much Does It Cost to Own a Sylvan Learning Centers' Franchise? Owning a Sylvan Learning Centers child-related franchise can be a lucrative business, but it does have some initial financial requirements. To open a single children's educational program location, the company requires that potential franchisees have liquid assets of at least $80,000. The franchisee startup costs associated with owning a Sylvan Learning Centers child-related franchise are similar to those of Mathnasium Learning CentersMad ScienceKumon Math & Reading Centers. Sylvan Learning Centers falls under the 'children's', 'education', 'high capital', 'multi unit and area developer', 'sba approved', 'veteran's' and 'women's' franchise categories. Across these multiple categories, it is further subcategorized under 'children's education'. See how the investment level of Sylvan Learning Centers' compares to those of other available children related franchises. Does owning a Sylvan Learning Centers child-related franchise sound like the correct business venture for you? Add this franchise to your cart and request free additional information about this business from the company, itself. These are the locations, inside the United States, where Sylvan Learning Centers is looking to expand its child-related franchise. 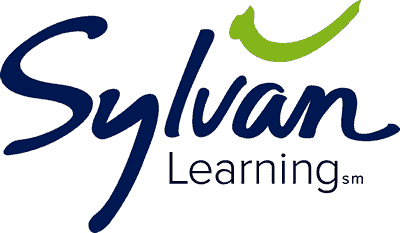 Sylvan Learning Centers is currently accepting inquiries from the following states: AK, AL, AR, AZ, CA, CO, CT, DC, DE, FL, GA, HI, IA, ID, IL, IN, KS, KY, LA, MA, MD, ME, MI, MN, MO, MS, MT, NC, ND, NE, NH, NJ, NM, NV, NY, OH, OK, OR, PA, RI, SC, SD, TN, TX, UT, VA, VT, WA, WI, WV, WY. *Interested parties should have at least $80,000 in liquid capital to invest. Sylvan Learning is the most recognized brand in supplemental and enrichment education, and the nation's largest provider of STEM education. With more than 750 locations and over 39 years of stellar results from our students and our franchisees, our franchise system has emerged as a leader in the industry. With a proven track record of success and the right tools in place, Sylvan is a strong and long-term opportunity in a booming segment. We believe that teachers matter, technology is a tremendous tool and learning should be personal. At Sylvan we believe in the power of education to transform children's lives. That is why our personal attention to each child has given families nearly 40 years of solid results. Click here to get in contact with Sylvan Learning Centers and request free additional franchise information.